Looking for someone to help you through your next real estate purchase or sale? 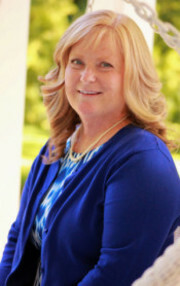 My name is Patty Beidel and I would love to be the person to help guide you through the sometimes overwhelming process of buying or selling your home. I am one half of a husband and wife duo. My husband, Duane and I specialize in the Franklin County area, including, but not limited to Chambersburg, Greencastle, Shippensburg, Fayetteville, Waynesboro and Mercersburg. Born and raised in the Philadelphia area, I came to Franklin County as a student at a local college. After graduating and obtaining my Bachelor degree in Psychology and Education, I taught in the public school system for several years before starting a family. Together my husband and I have raised three wonderful children and have been blessed with 2 beautiful grandchildren who all live in Franklin County. Many years ago, when my husband and I were talking about the future, I told him that when we retired, we should become Realtors. He of course, agreed, never knowing that I would actually hold him to that promise. Now, both of us are licensed Realtors and we love our job! Initially, we were members of The Smith Group under the direct supervision of Tim Smith, our Broker and Bill Kopp, his assistant. This gave Duane and I the advantage of learning the ins and outs of Real Estate from two of the best people in the business. After spending time learning what we could from Tim and Bill, we “graduated” and went out on our own. Now, we are doing what we love and we LOVE doing it. There is nothing quite like the feeling you get when we all work together to make people happy. Outside of real estate, I enjoy spending time with my husband and best friend, Duane, my children and their spouses and my amazing grandchildren. I also enjoy helping out on our family farm in nearby Fulton County. For answers to all of your Real Estate questions, please give me a call at 717-504-2013, or email me at pbeidel013@gmail.com. I look forward to working with you.